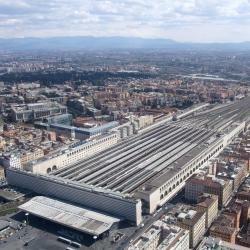 Looking for hotels near Vittorio Emanuele Metro Station? Located in Rome, Vinci House provides free WiFi. 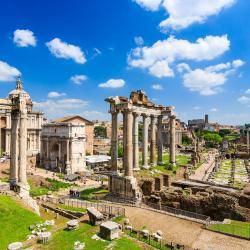 The property is around an 8-minute walk from Santa Maria Maggiore and 0.7 miles from Domus Aurea. Staff on site can arrange airport transportation. Biancaluna is located in Rome, a 12-minute walk from Santa Maria Maggiore and 0.8 miles from Domus Aurea. Centrally located in Rome, Relais Merulana is a guesthouse just over a quarter mile from Manzoni Metro Station. It has air-conditioned rooms and free Wi-Fi, all a 10-minute walk from the Colosseum. 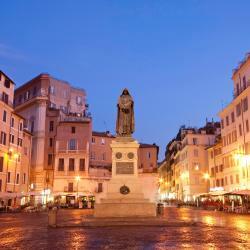 Located in Rome, 656 feet from Santa Maria Maggiore, Just Chilling Suite features free WiFi. Located within the Monti district in Rome, Around The Corner Colosseo B&B has air conditioning, a balcony, and city views. 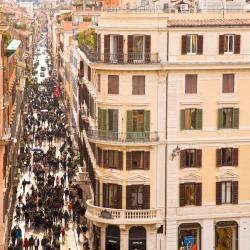 This property is a 10-minute walk from Santa Maria Maggiore. A 12-minute walk from Domus Aurea, Vietitaly Filiberto is located in Rome and has air-conditioned rooms with free WiFi. Set just 492 feet from Rome’s Castro Pretorio Metro Stop, Hotel Canada offers a bar, free WiFi throughout and air-conditioned rooms. Termini Train Station is a 10-minute walk away. Excellent, friendly and helpful staff. The Independent Hotel offers elegant, modern rooms with free internet, and large beds with thick mattresses. My kid was sick in the morning before check out and the staff allowed us to check out at 1pm. 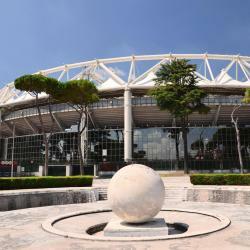 Hotels with great access to Vittorio Emanuele Metro Station! Between Termini Station and the beautiful Basilica of Santa Maria Maggiore, Hotel Orlanda offers great-value accommodations in the heart of Rome. Rooms come with Satellite TV and Wi-Fi. This is the second time I stay in this hotel and the last one was three years ago. People are talking about Vittorio Emanuele Metro Station! 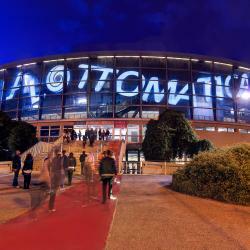 Explore guest hotel reviews featuring "Vittorio Emanuele Metro Station"
The location was great, very close to a tourist landmark,and great restaurants. Its also close by vittorio emanuele metro station, so it's easy to get around. The staff is very friendly, and the breakfast offered is very delicious. The room is also very nice and clean.